CrossFit Coaches watch out! Take your Team to the Sun! The judo national team member’s program during their trainings camp on Tenerife was impressive. 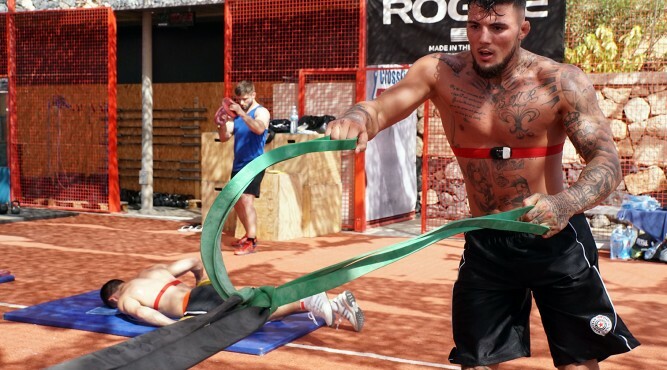 They sweated during the run, they sprinted up the mountains, they improved their endurance in the CrossFit Box and they strengthened their muscles in outdoor gym at Tenerife Top Training (T3). Two times a day Richard Trautmann, head coach and bronze medalist at Olympics 1992 and 1996, forced his team to practice. This was a hard schedule for the eight judoka, especially because of the topics during the weeks. Running, cycling and other endurance sports aren’t the most common training for judoka. “Judoka want to fight. It’s against their attitude to sit eight hours on bike and drive through the mountains. Therefore these types of practice are challenging for the athletes”, says Trautmann. For this reason the new head coach wanted to set a new aspect with the stay at Tenerife Top Training. “The time in training camps should be fun, too. Here we find the perfect balance”, says Trautmann. After practice, the judoka used the perfect circumstances to regenerate. During practice the team profited by the facilities at T3. “We have a good gym. This is very important for us to continue with our strengthening program. In addition we have a perfect CrossFit Box here. Furthermore the island gives us various options for sessions on bike and running”, explains Trautmann. These circumstances pushed the judoka as well. The athletes practiced very hard. It was a motivating atmosphere. “We can practice under perfect circumstances for three weeks. Therefore every athlete can push himself to his best”, says Marc Odenthal, who competed at the Olympics 2016 in Rio. 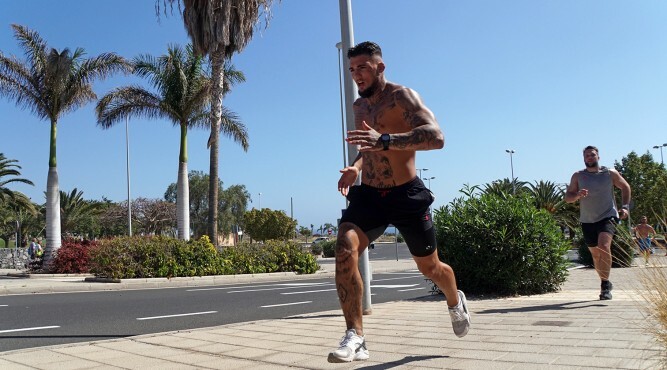 Odenthal wasn’t the only Olympian and very successful athlete at Tenerife Top Training. Karl Richard Frey, silver medalist at World Champions 2015, and Dimitri Peters, bronze medalist at Olympics 2012 in London, joined the training as well. Especially Dimitri Peters enjoyed his last endurance camp with the German judo national team. “After the World Championships in August, I will quit my judo career. After so many years in this sport, I’m thankful to have the chance to set a new impulse for my practice at this special place”, Peters says. The coaches put the endurance and the fundamental condition in the focus. In the following month the team will practice in Japan and South Korea for four weeks. There they will work through several sessions on the tatami. Hence the athletes need a perfect condition. “Judo is a complex sport. Here, we use the time to improve our aerobe performance. Nevertheless this aspect isn’t the most critical factor during competition. With the aerobe fundament we can put our special training on a higher level”, explains Trautmann his plans. The head coach was supported by his professional team on Tenerife. Dr. Oliver Heine, leading sport scientist at Olympiastützpunkt (center for high performance sport) Rheinland, controlled the judoka’s data before, during and after the session. Therefore an individual program and balanced intensity was possible. In addition Sebastian Kästle, judo national team’s physiotherapist, looked after the athletes and their body conditions. The team was completed by Daniel Gürschner, who was head coach during the first nine days, and Daniel Jacko, who did the sport scientific monitoring at the beginning. The judo national team’s stay at Tenerife Top Training was a premiere, as well. For the first time the T3 welcomed athletes of this Olympic sport. “We are glad to welcome the German judo national team here at Tenerife Top Training. In the future we want to expand our offers for fighting sports. It’s a profit for the athletes, the coaches and the T3”, says Gregor Zielhardt, Tenerife Top Training’s general manager. 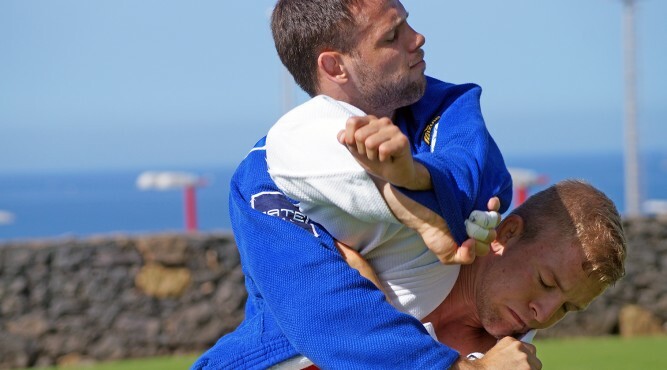 A cooperation with the local judo club enabled the team’s training camp in Tenerife. The German judoka practiced in Adeje’s dojo. “We enjoyed our stay and the sessions in the local judo club’s dojo. We are very thankful for their hospitality”, says Richard Trautmann.